NO. 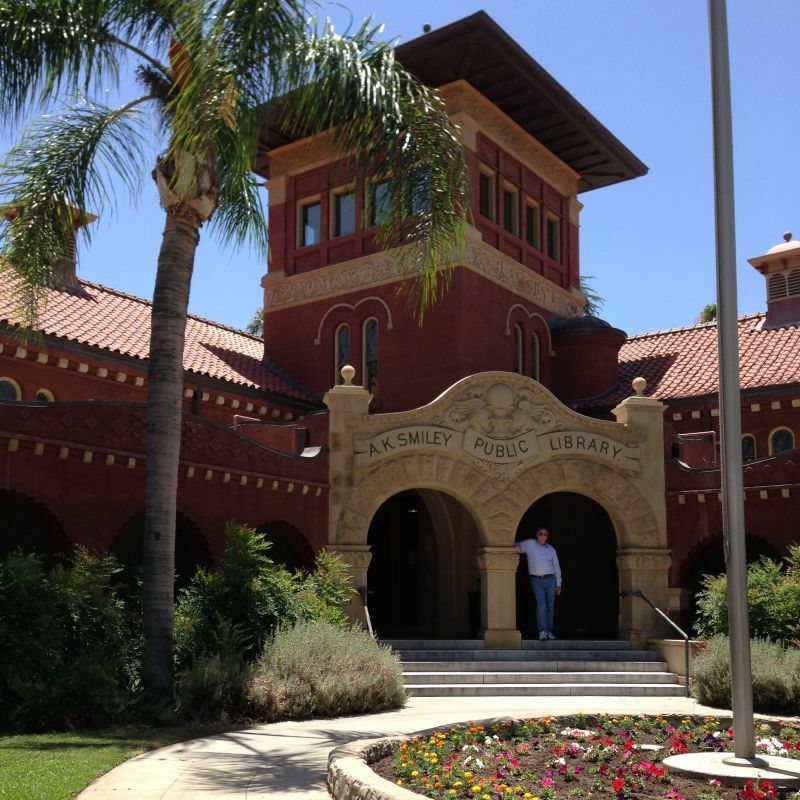 994 A.K. 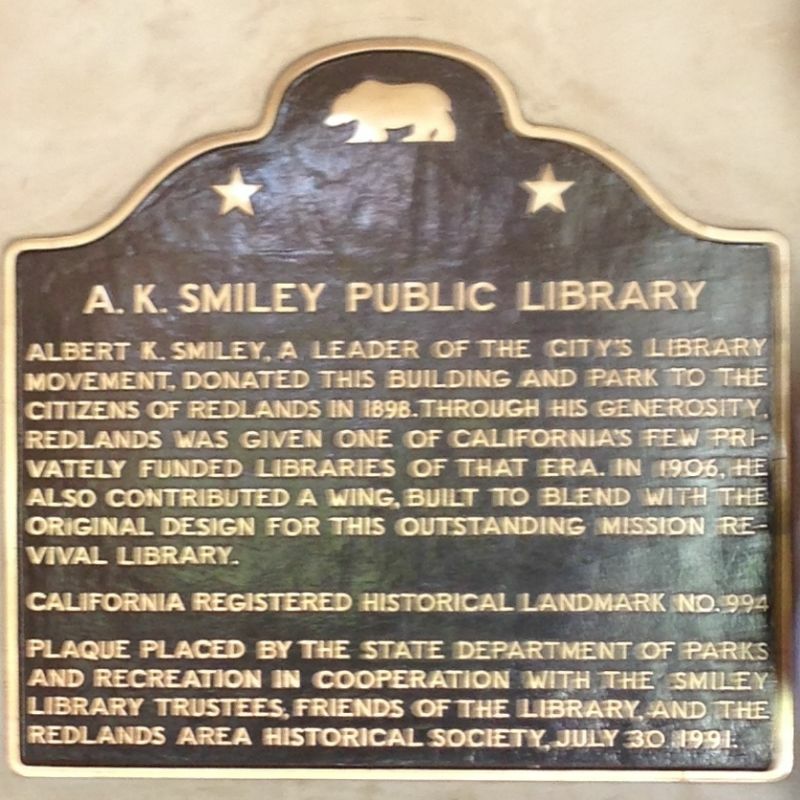 SMILEY PUBLIC LIBRARY - Albert K. Smiley, a leader of the city's library movement, donated this building and park to the citizens of Redlands in 1898. 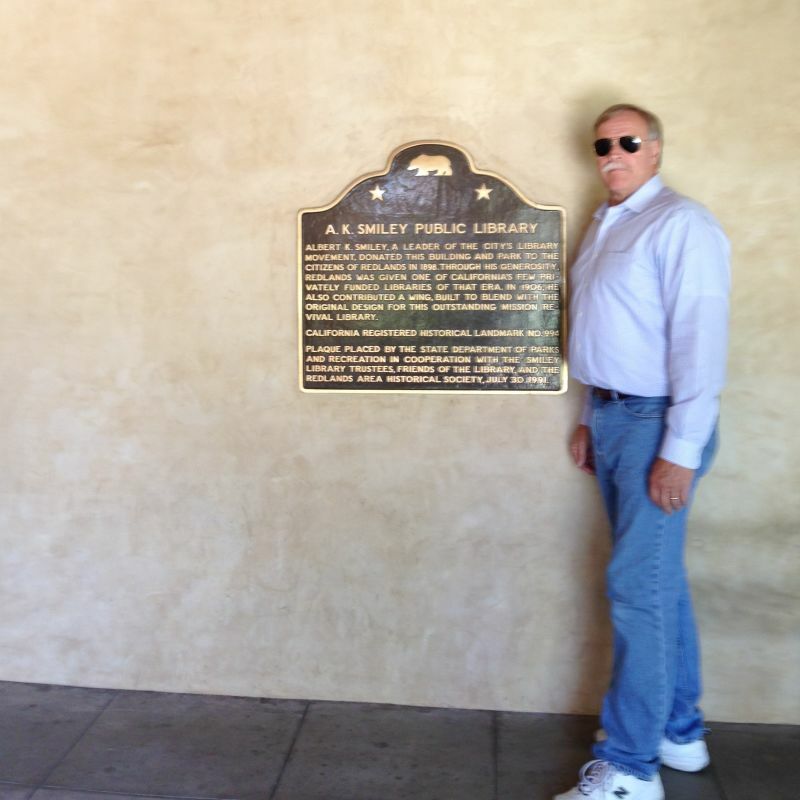 Through his generosity, Redlands was given one of California's few privately funded libraries of that era. 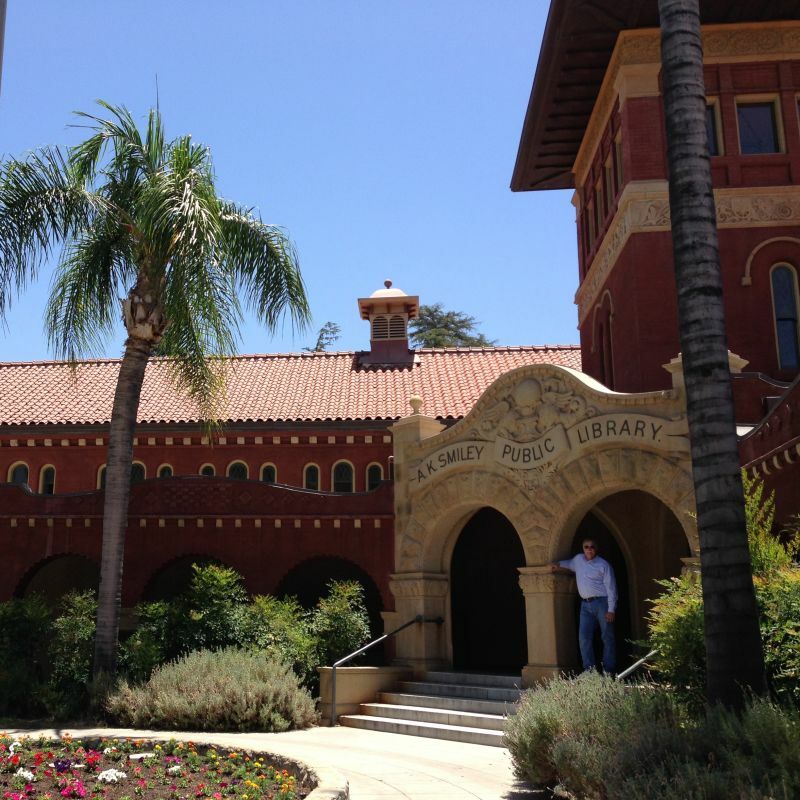 In 1906, he also contributed a wing, built to blend with the original design for this outstanding Mission Revival library.